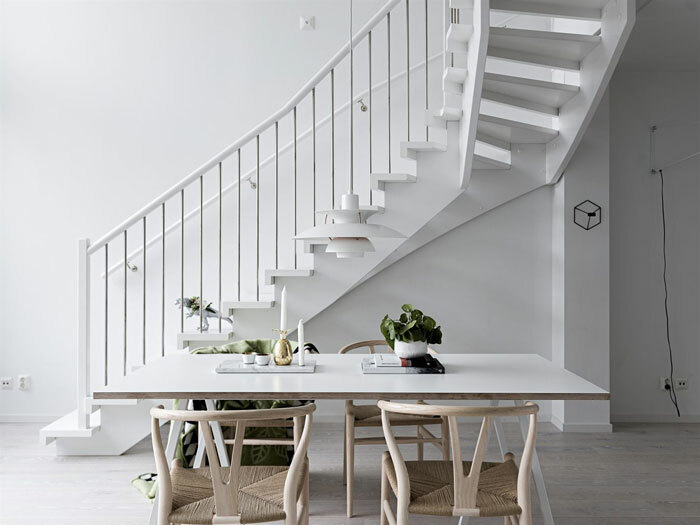 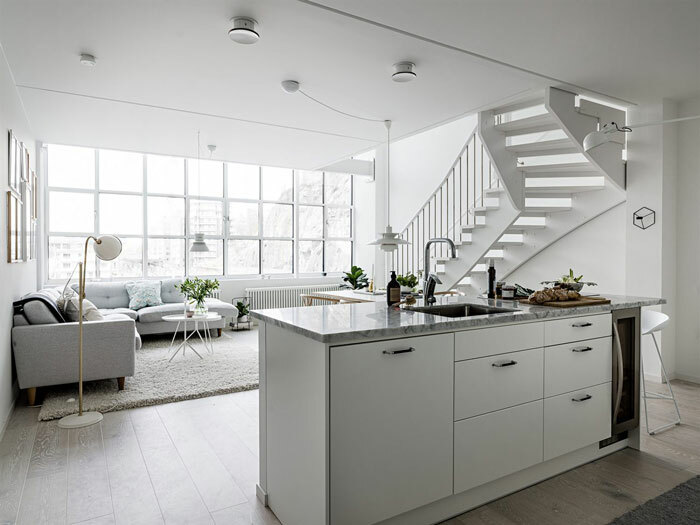 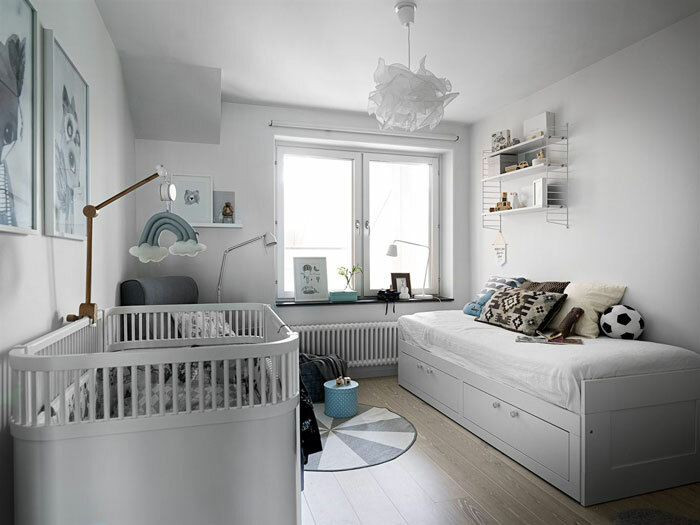 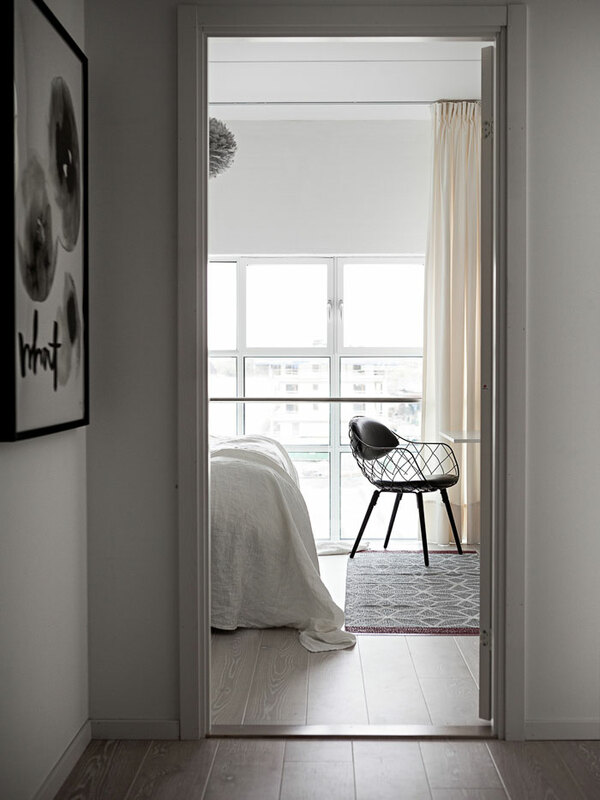 What a lovely, airy and bright apartment in Sweden! 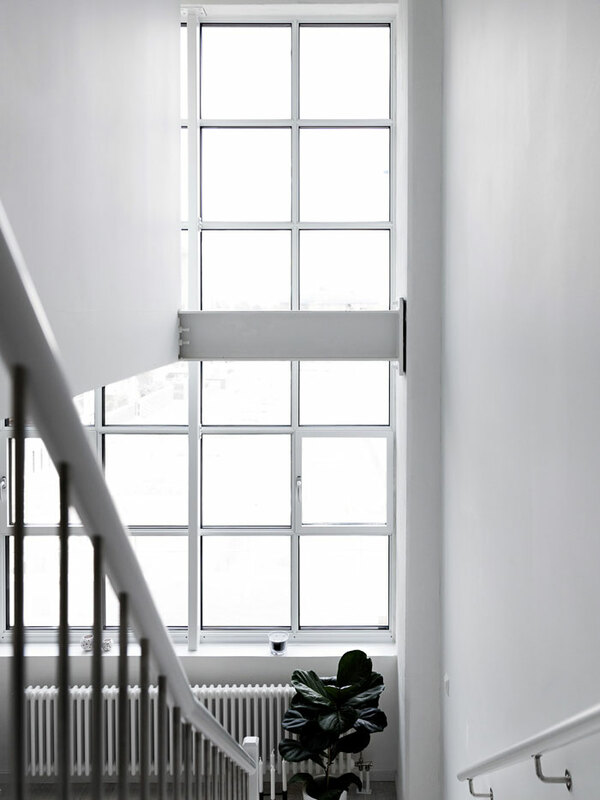 Located in an 1940s industrial building, the place has fantastic large windows that bring in tons of natural light while offering views of the neighbouring waterfront. 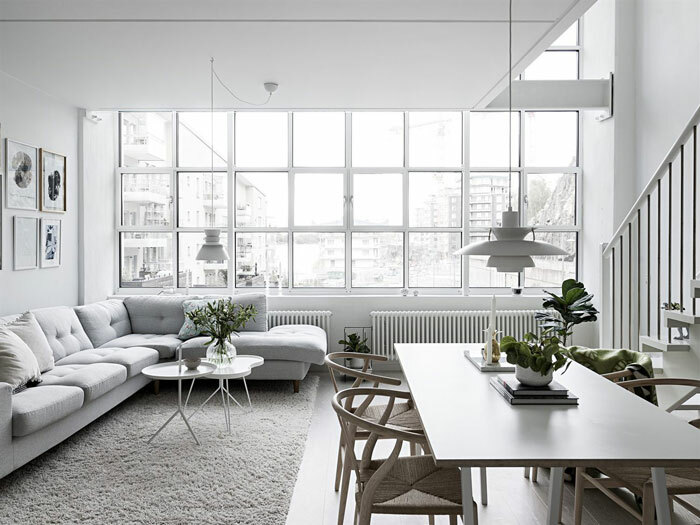 The open floor plan and high ceilings also add to the spaciousness. 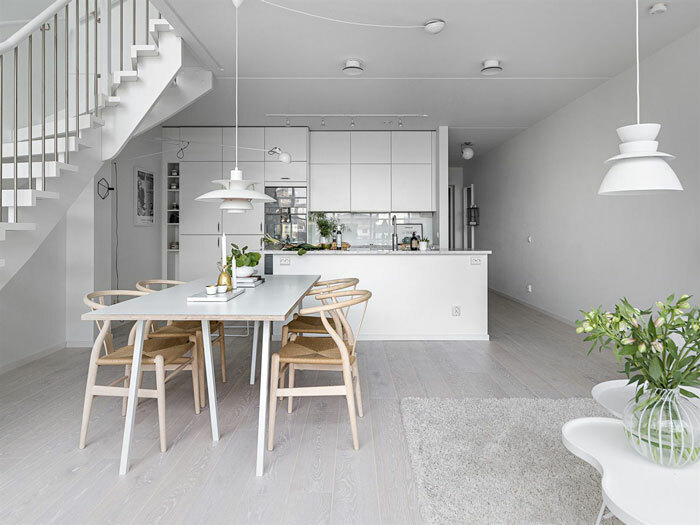 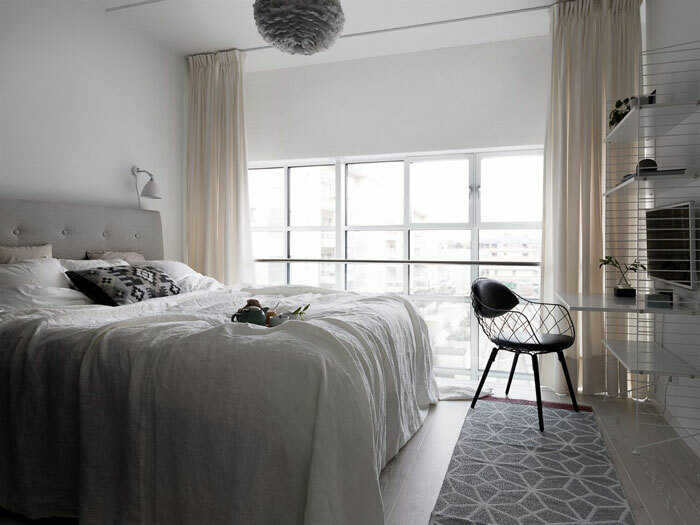 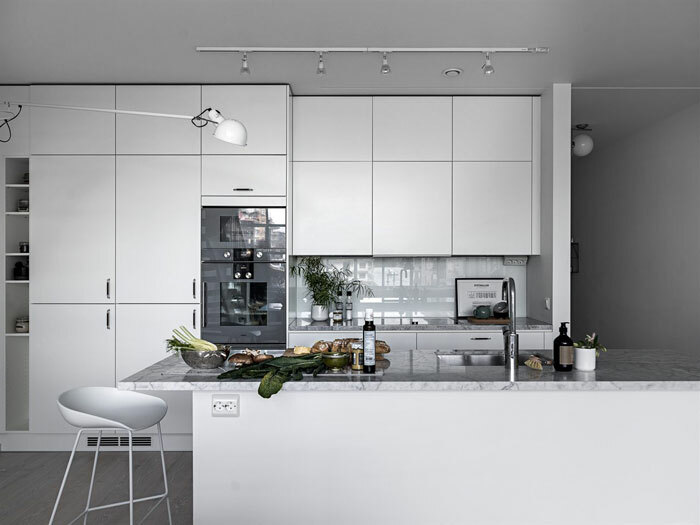 The interior is furnished with beautiful Scandinavian design, and the overall look is stylish, comfortable and peaceful. 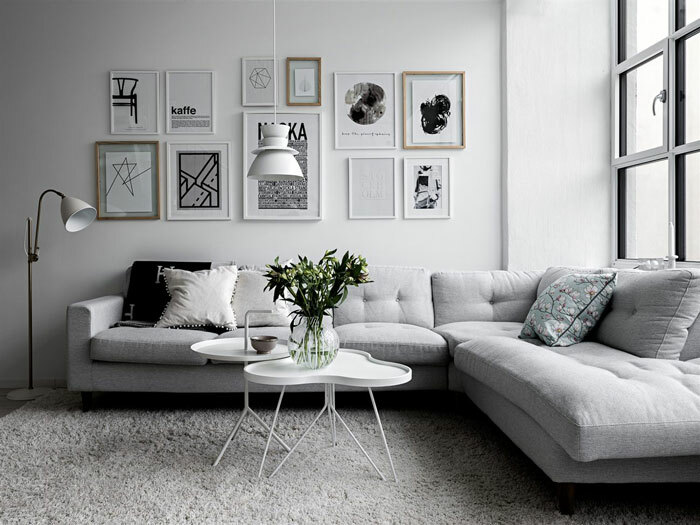 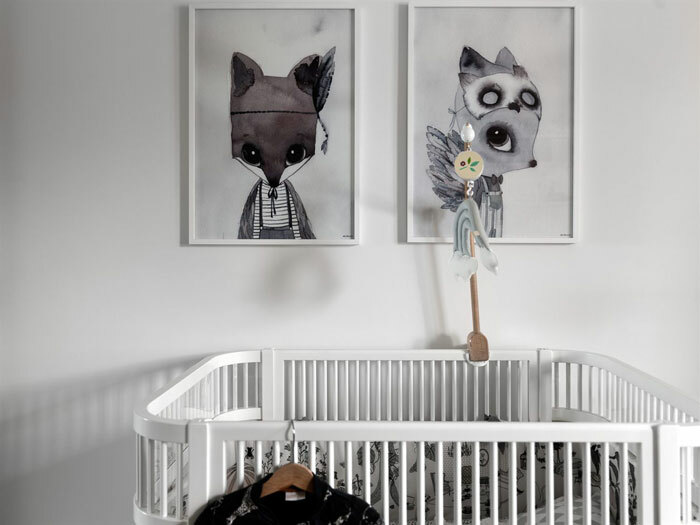 I like the simple gallery wall in the living room, and the kid’s room is pretty and sweet.